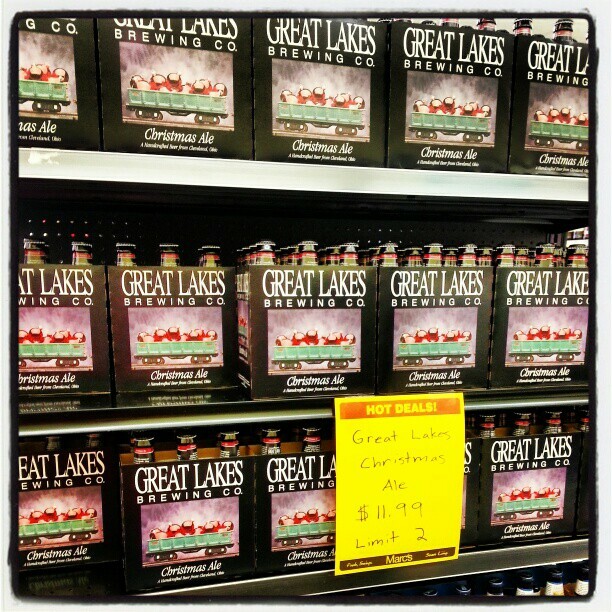 It is always a sign that Christmas is approaching with the shelves have Great Lakes Christmas Ale stocked... because it doesn't last very long. 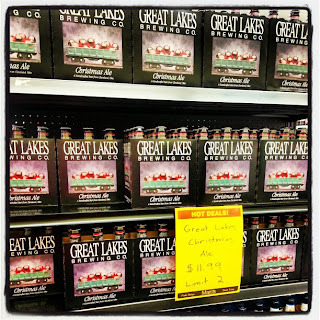 The hype for me is not as great as it used to be, but I still enjoy a delicious, spiced beer. It keeps the seasonal feel alive. I was able to pick up a couple today at a decent price. I heard some of the outlets were asking for quite a pretty penny. 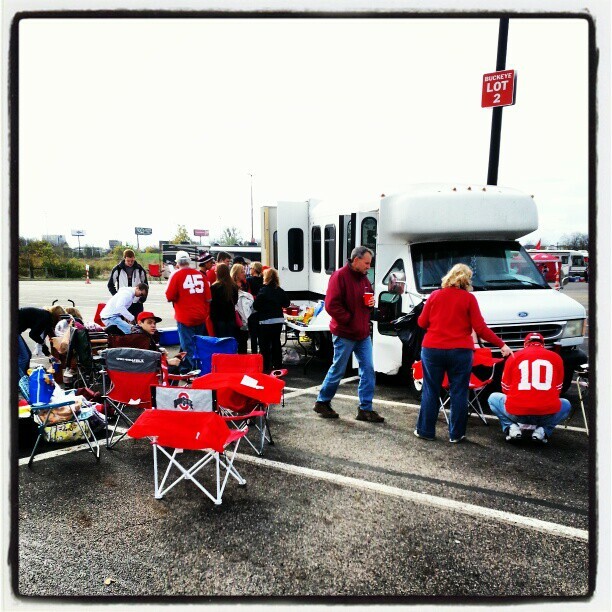 I also went back to campus today for an Ohio State tailgate. Dawn's family does it right. 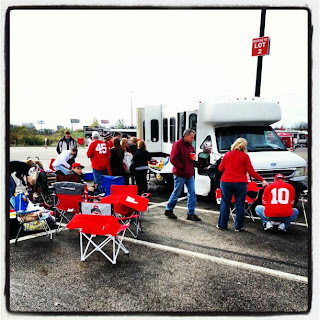 Her cousin (slash boss) brought his buss and we had at least 40 people at the tailgate. I rode my moped separate so I could sneak in, but more importantly sneak out when I had to leave for work. It is a little weird not being able to "really" tailgate, but I still had fun regardless and nothing beats burgers on the grill with a chill in the air. Good times. Some of her family is staying the night so hopefully they are interested in going out tonight after I get off work. We did dodge most of the rain in Columbus today and it stayed just far enough south. We will continue to dry out the coming days. Temperatures will remain cool for the rest of the weekend and start of the work week with highs near 50 and lows near freezing. By the end of the week our highs will slowly warm up. There are a few weak disturbances moving by near the Ohio Valley, but the latest models have only a weak disturbance bringing us a chance for rain around Wednesday. It will be nice to dry out a bit after such a wet week last week. One thing to note in national weather is the possibility of a nor'easter bringing a significant amount of snow for New England for the middle of the upcoming week. That would be one thing they do not need since they are still picking up from Sandy's wrath. Will need to be watched closely.